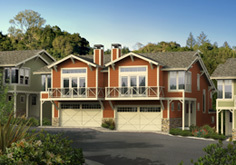 The Fountaingrove Village development consists of retail/office and residential. When being designed, the proposed tenants in the retail/office component include an upscale, gourmet neighborhood market, coffee shop, hair salon, dry cleaner, realtor, and various other complementary uses. 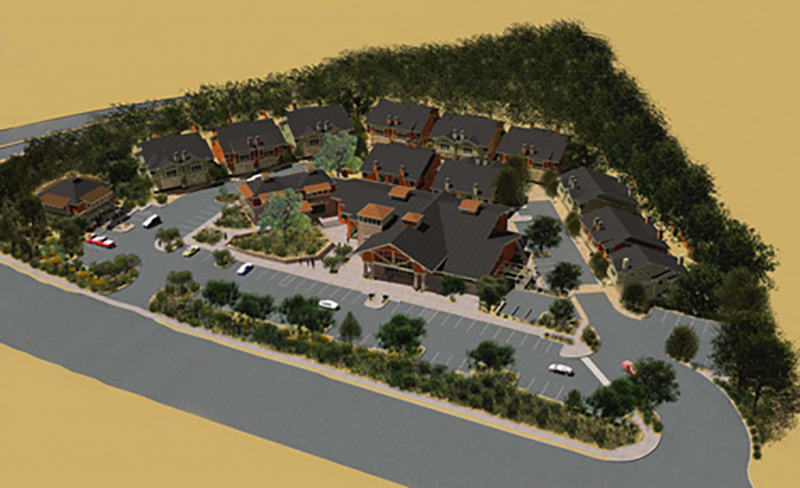 “The market will be approximately 8,000 square feet in size and similar in style to the Skyhawk Village Market”, stated Kevin Carinalli, President of CarCo Investments. 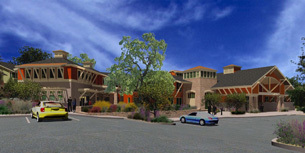 The project is located at Fountaingrove Parkway and Stagecoach Road in Santa Rosa. The 21 single family, duet-style homes are approximately 1,900 square feet with standard features including: granite slab counters, stainless steel Viking appliances, window coverings and front and back yard landscaping. Prices were estimated to start in the $600’s with an estimated completion date of September 2007. 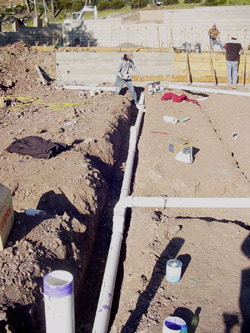 LeDuc & Dexter’s commercial department participated in the underground phase for the commercial shells installing the water, wastewater and gas lines. LeDuc & Dexter’s residential department also be plumbed the homes and installed the residential fire sprinkler systems. LeDuc & Dexter has worked with CarCo Investments and CarCo Homes on numerous projects including another residential project in Santa Rosa off Victoria Lane. CarCo Investments is best known for their quality residential projects, however, according to Brian Olhiser, CarCo Investments Superintendent on the project, “building a commercial project such as this is made easier by selecting quality subcontractors with a lot of commercial experience such as LeDuc & Dexter”.